The former Black Panther has become the first woman placed on the FBI’s Most Wanted Terrorist list and reminds us that the struggle for freedom is far from over. So begins an open letter written by Assata Shakur, formerly of both the Black Panther Party and Black Liberation Army, currently exiled political prisoner. The letter itself dates back to 1998, but in the past week there has been renewed interest in reading Shakur in her own words, as the FBI added the iconic figure to their list of Most Wanted Terrorists and, alongside the New Jersey State Police, announced a $2 million reward (up from the $1 million offered in 2005) for any information that might lead to her capture. Shakur’s infamy began after the May 2, 1973, killing of a New Jersey state trooper. In her letter, as well as in her autobiography, she recounts what happened that night, when she, along with Zayd Malik Shakur and Sundiata Acoli, were stopped on the New Jersey Turnpike for having a faulty tail light. One trooper drew his gun and told them to put their hands in the air, which Assata did. Moments later a shootout ensued, ending with the deaths of Zayd and state trooper Werner Foerster. Assata was also shot while her hands were up. Though the forensic evidence backed up her account, the state was able to convict her, and in 1977 she was sentenced to life plus thirty-three years. She has lived in Cuba, where she was granted asylum, since 1984, having escaped (or in the language of the movement, been liberated) from Clinton Correctional Facility for Women in New Jersey in 1979. Shakur and her supporters, myself included, maintain her innocence. “It’s incredibly frustrating that the first woman to be on the FBI’s most wanted terrorist list, the same list as Osama bin Laden, would be a 65 year-old grandmother in Cuba,” writer and filmmaker dream hampton told radio host Davey D. I would add that it’s also incredibly frightening. We have seen the way this country has prosecuted the “war on terror,” even after moving away from using that specific phrase, with a blatant disregard for civil liberties, human rights, international law and the rights of sovereign countries. It’s enough to make one very concerned for the safety of Shakur and those around her. If deemed dangerous enough, could an invasion of Cuba be far behind? A drone strike? How far is this government willing to go to capture (kill?) someone whose guilt in the crime for which she was convicted is not clear and poses no threat to the country’s security? The United States doesn’t like to lose and holds a hell of a grudge. This goes beyond J. Edgar Hoover’s declaring the Black Panther Party the “greatest threat to the internal security of the country” and vowing to eradicate them. This is the fate of anyone, particularly those with black and brown skin, who holds views deemed anti-American—which for them only reflect their status as an oppressed people (there’s controversy in asserting that all people deserve the right to food, clothing and shelter). Because what of her actions qualifies Shakur as a terrorist? Even if you believe she is responsible for Foerster’s death, that would make her responsible for one death in the early morning hours on a New Jersey highway forty years ago. If that is terrorism, if the definition is such that this purported crime fits, then in the process of labeling Assata Shakur a terrorist, the FBI has rendered the word all but meaningless. According to Davis, “the attack on [Shakur] reflects the logic of terrorism, because it precisely is designed to frighten young people, especially today, who would be involved in the kind of radical activism that might lead to change.” But there’s no one around to put law enforcement on a wanted list. “I am only one woman,” Shakur wrote in her open letter, but the FBI has decided to make her more than that. She is a symbol of what it means to be a black woman who dares fight back. You don’t need to be sporting one of those “red, black and green liberation jump-suits” that Gil Scott-Heron talked about in order to see that this ramped up manhunt is unnecessary and an abuse of power. But it should also remind us that the struggle Shakur and her comrades took bullets for is still not over. We’re still needed on the frontlines. 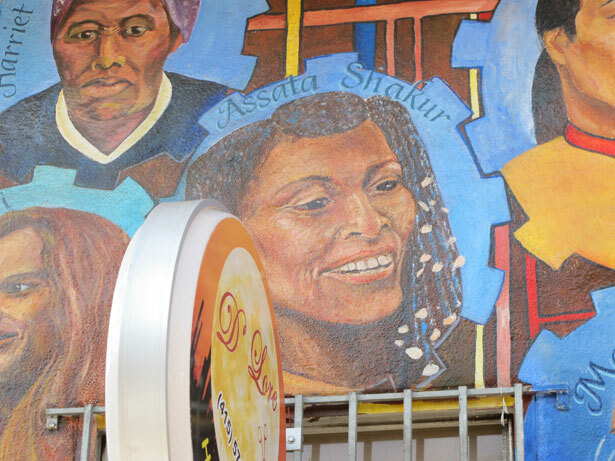 Hands off Assata, now and forever. Read Mychal Denzel Smith on Arizona’s new gun-buyback law, which illustrates why the federal government should take the lead on gun control.